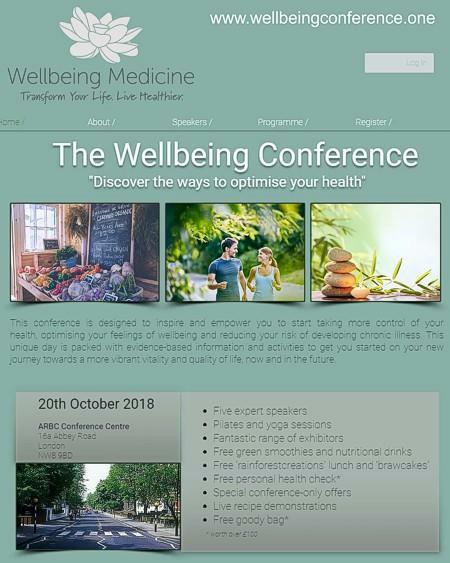 The Wellbeing Conference is being held at the ARBC Conference Centre on Abbey Road (yes, THE Abbey Road) in London NW8, on the 20th October 2018. It will present ways to optimise health and reduce the risk of chronic disease. Speakers include Dr. Lucia Batty (doctor), Lorraine Nicolle (nutritionist), Angela Beecroft (allergist), Jon Castle (physiotherapist) and Dr. Claire McDonald (psychologist). At this event, The Really Healthy Company is honoured to showcase some of our products. We look forward to seeing you there! For more information on this inspiring and informative event, please click here.